The Centre is open every Saturday from 10:00 to 12:30 for anyone to visit and view the archives, as well as to ask about the history of the area and local families. 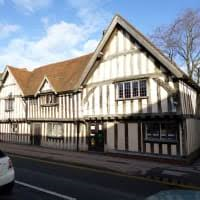 On 15 September this year, the second Heritage weekend, Knowle Society Local History Centre (upstairs in the library) will extend its hours and remain open until 2.30pm. There will also be a selection of old photographs and scrap books on display for visitors to look through.